The Education and Social Services program provides students with the basic skills and competencies needed to pursue careers in education, child care, and social services. Through internships at local elementary schools, day care centers, and elder care facilities, students develop skills in effective communication, working as a team member, and taking directions from supervisors. The core areas of study include professionalism and program management, teaching and learning, healthy and safe environments, human growth and development, families and community, and career exploration and preparation. 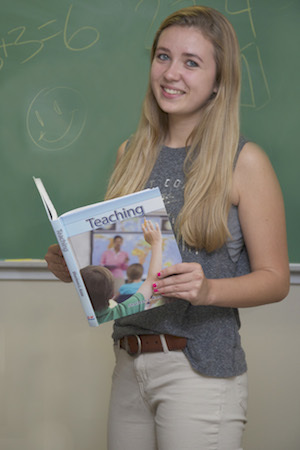 Graduates are prepared to enter a two- or four-year college program, as well as a variety of entry-level positions in the teaching and human services fields. Students completing the two-year program have the opportunity to earn 12 credits that will be accepted at Vermont State Colleges and Universities. Certifications include First Aid, CPR, Mandated Reporting, FEMA Mulit-hazard Planning for Childcare, Early Childhood Regulation Training, and Fundamentals for Early Childhood Professionals. Past students have attended The University of Vermont, Castleton University, Community College of Vermont, Plymouth State University, and Johnson State College. Students applying to the program should have a strong desire to explore careers in child care, teaching, special education, social work, and care of the elderly. They should also possess a commitment to exhibit professional behavior in and out of the classroom and demonstrate respect for everyone. Solid communication skills are also important.